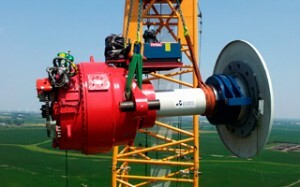 Gearbox Express | Repairing, Rebuilding and Remanufacturing Wind Turbine Gearboxes and Gearbox Parts. Our tech team has built a gearbox that stops problems before they start. Eliminating lead-time and down-time, getting you up and running in no-time. 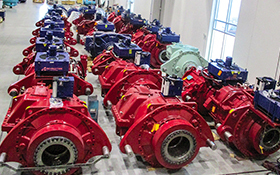 Gearbox repair and maintenance training from the industry experts. At Gearbox Express, we focus strictly on gearboxes. We’re a company built by gearbox guys in constant pursuit of solutions. Our new 80,000 square-foot facility is twice the size of our original location, offering deeper and broader technological advances in its equipment. Our approach is unlike any other company. We’re proactive and look to extend the life of your gearbox at every turn. Our attitude is resourceful, confident and willing to work with your existing relationships.